The tangerine (Citrus tangerina) is an orange-colored citrus fruit that is closely related to the mandarin tangerine (Citrus reticulata). Tangerines are smaller than common tangerines and are usually easier to peel and to split into segments. 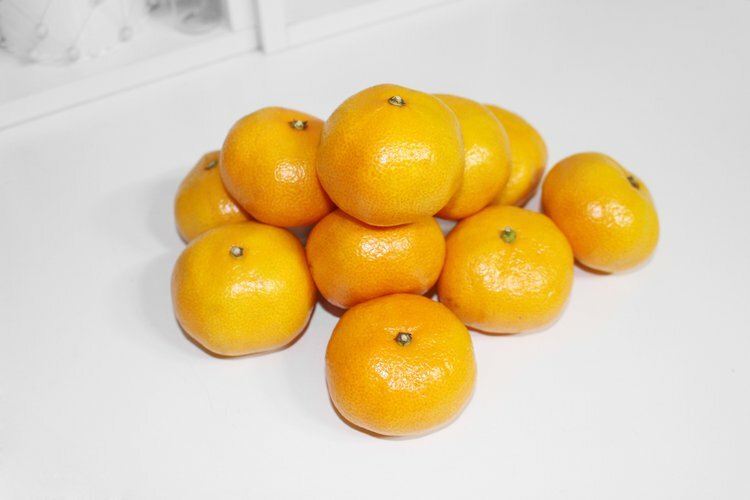 The taste is considered less sour, as well as sweeter and stronger, than that of an orange. Several components of tangerines, such as potassium, folate, and various antioxidants are known to provide neurological benefits. Folate has been known to reduce the occurrence of Alzheimer’s disease and cognitive decline. Potassium has been linked to increased blood flow to the brain and enhances cognition, concentration, and neural activity. Also, tangerines are loaded with vitamin B6. A deficiency has shown depression and nausea. Be sure not to consume too much. The vitamin B6 upper limit is set to 100 milligrams for adults over the age of 18, but adults do not need that much unless directed by the doctor. Tangerines are a good source of B-vitamin complex like folate. Folate has shown to help in neural tube formation and red blood cell formation in prenatal babies. A deficiency of folic acid in pregnant women can lead to the birth of underweight infants and may also result in neural tube defects in newborns. Tangerines are packed with potassium and a low content of sodium. It is well known because of its high potassium content. A large tangerine contains 199 milligrams of potassium, compared to 2.4 milligrams of sodium. This helps the blood vessels relax and maintains proper blood pressure. Fiber, vitamin C, vitamin B6, and potassium have been known to improve the heart’s health. The recommended 4,700 milligrams (mg) of potassium is not obtained by many individuals in the United States, according to the National Health and Nutrition Examination Survey, despite the benefits of increased potassium intake. One study suggested that people who consumed 4,069 mg of potassium per day had a 49 percent lower risk of death from ischemic heart disease compared with those who consumed less potassium, approximately 1,000 mg per day. A large tangerine has 53 percent of the vitamin C daily requirements. Vitamin C is a powerful natural water-soluble antioxidant that helps the body develop resistance against infectious agents and eliminates cancer-causing free radicals in the body. Adequate vitamin C intake does not only help fight infection but can also create and maintain collagen, an essential protein found in hair and skin. Also, tangerines contain vitamin A. Vitamin A has been known to keep the hair moisturized through increased sebum production. Tangerines are an excellent source of fiber. The daily recommended dietary fiber intake for men and women are 38 grams and 25 grams, respectively. Fiber can help prevent constipation, helping make your bowel movements easier to manage.